Simba is stung by a scorpion! 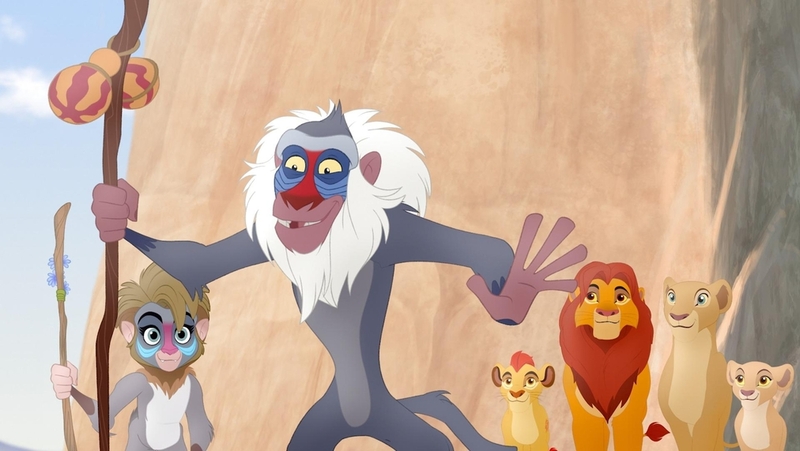 Seriously, Banzaii, Shenzi, and Ed, the hyenas, killed Scar, not Simba. 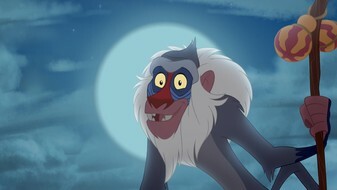 Look's like Scar's had one to many bottle's of vodka again. Excellent episode. only in my imagination sadly I'm doing this with real life friends pretending to be a new generation The Lioness guard this will be a tough fight for me and My Lioness Guard Team but for whatever it takes we will defeat Scar especally cause he messed with a friend of mine Shani the bravest in my team Scar tried but failed to get rid of her mom. and for me when anyone mess with anyone I care about like friends they are also like family to me anyone messes with us they mess with us all! Guys did you know that the show's executive producer Ford Riley voiced sumu here!? And Njano the blue,yellow skink in shupawu's skin group+aditional voices!? 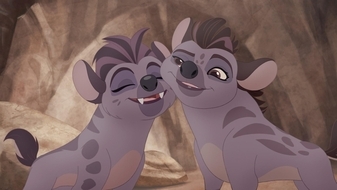 Also scorpions are now canon in the lion king universe and it nice to see that not every crawling creature potrayed like their unintresting real counter part and some does hawe sentience! Joshua you’re right I saw Kenge too! 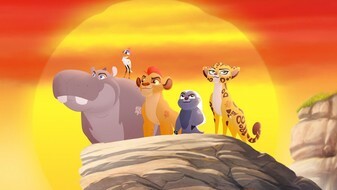 If I had a character in the show, I would say "Simba threw Scar into a pit, then the hyneas took care of the rest. 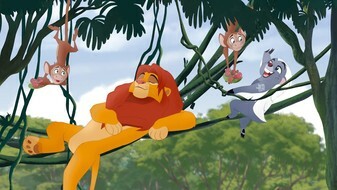 Simba did not see this happen because there was too much fire." It's funny how "The Roar" used to be really special but now it can be used 4 times in a row withn no recharge/rest period.Surprised its not something everyone can easily use. 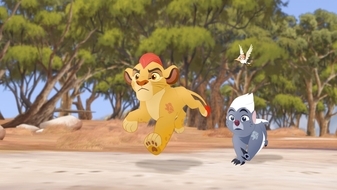 As Matt,Inez,Jackie and Digit have protected Cyberspace from Hacker,the Lion Guard will do their best to protect the Pride Lands from Scar! 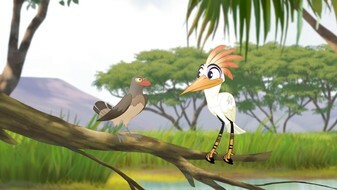 Which episode does the new lioness Rami come in? It’s Rani and she comes in the third season. 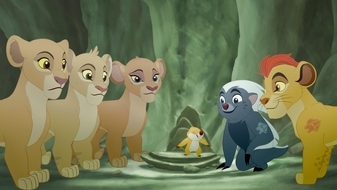 This occasion captivated me, I was afraid for Simba all the time. defeat the whole army of Scar. I don’t think that mapigano was a bad guy. I think he was just a bully but definitely not entirely evil. 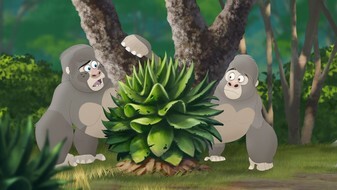 And also, he can’t have much to hate the lion guard for anyways. 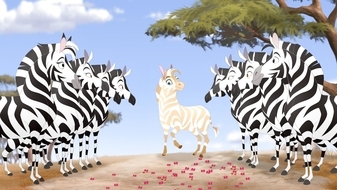 It was badhili who stood up for himself at the end. 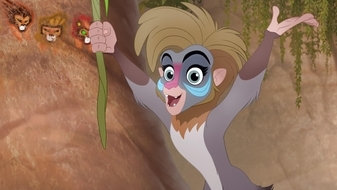 But definitely zira and then outlanders. I’m surprised they haven’t jumped on that yet. 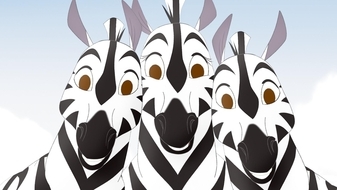 By the way, wheres jasiri? What’s the next episode seeing as it says new episode coming in 11 hrs? And tomorrow I have school too! Ugh! Bunga, every word that came out of your mouth at the beginning was completely WRONG. 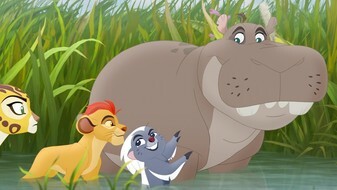 Timon and Pumbaa made that diversion to keep the hyenas from seeing Simba. 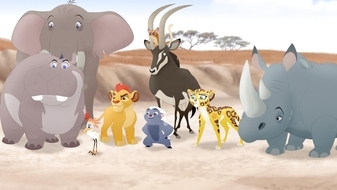 Then they came back to Pride Rock and helped Simba fight the Hyenas. 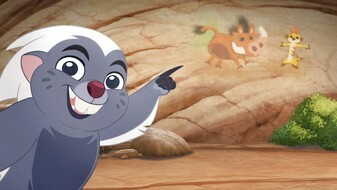 Also, the story that Timon and Pumbaa told you is filled with lies. Aren’t there some more coming out? 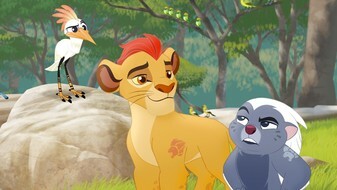 Scar just blabbed the whole plan to the lion guard. How dumb can you get? It wasn't blabbing it was monologuing, I believe it's a requirement in his line of work. 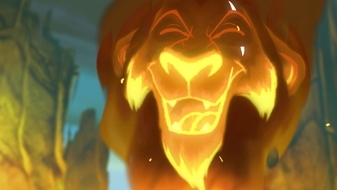 Also, Scar had a rough childhood and the Lion Guard of his day, attacked him because of Scar making a plan of attacking Mufasa, thus giving him a "Scar". 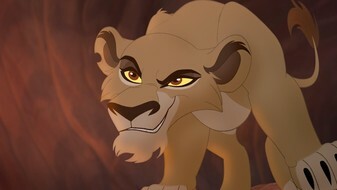 Scar wasn't allowed to be king because of the fear he put into his parents, if he ruled, good reasoning as well. Though he did want to help the hyneas because of the food they had, I would've done the same, but not put myself as starving when I would help the hyneas.